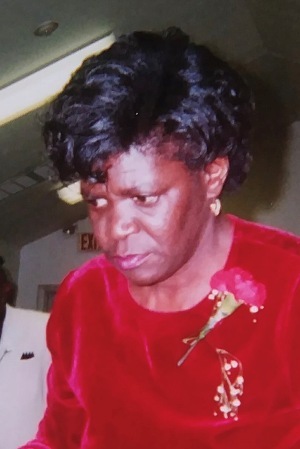 Obituary for Mayphine Hart | Doolittle Funeral Service, Inc.
Mayphine Hart, 66 years old, of Middletown, went home to be with the Lord on Sunday, September 2, 2018 at Water’s Edge Center. Born in Middletown, she was the daughter of the late Bert E. and Elouise (Green) Hart. Mayphine attended Middletown High School and joined the chorus class where she sung soprano and graduated in 1969. After high school for the summer, she was one of the first to go to Outward Bound. She attended Middlesex Community College and after college, she worked for a dentist in Middletown named Dr. Bridgeford for a couple of years then went to work for the State of Connecticut for about three years then started working for Pratt & Whitney for twenty-nine years until she retired. Mayphine leaves to cherish her memories: two sons, Kirby B. (Lisa) and Terrill D. Hart (Missy), all of Middletown; two brothers, Thaddeus Hart (Melissa) of Cromwell and Calvin B. Hart (Kathy) of Middletown; two sisters, Martha H. Bush of Florida and Selina H. (Jerome) Anderson of Middletown; eleven grandchildren, Avante, Mariah, Chase, Nyasia, Jasmine, Jacquai, Bryce, Khelon, Aiden, Serenity and Isaac and a host of nieces, nephews, great nieces and nephews, cousins and friends. Besides her parents, she was predeceased by her sister Cynthia Hart of Georgia, brother, Emmanuel H. Hart of Middletown and aunts, uncles and cousins. Mayphine was loved by all and will be missed by all whose lives she touched in a special way. Funeral services will be held on Friday, September 14 at 11:00 am at Zion First Baptist Church, 16 James A. Moses Avenue, Middletown. Burial will follow in Indian Hill Cemetery. Family and friends may call before the service from 10:00 to 11:00 am. The repast will be at Cross Street AME Zion Church, 440 West Street, Middletown. To send messages of condolence, visit www.doolittlefuneralservice.com.